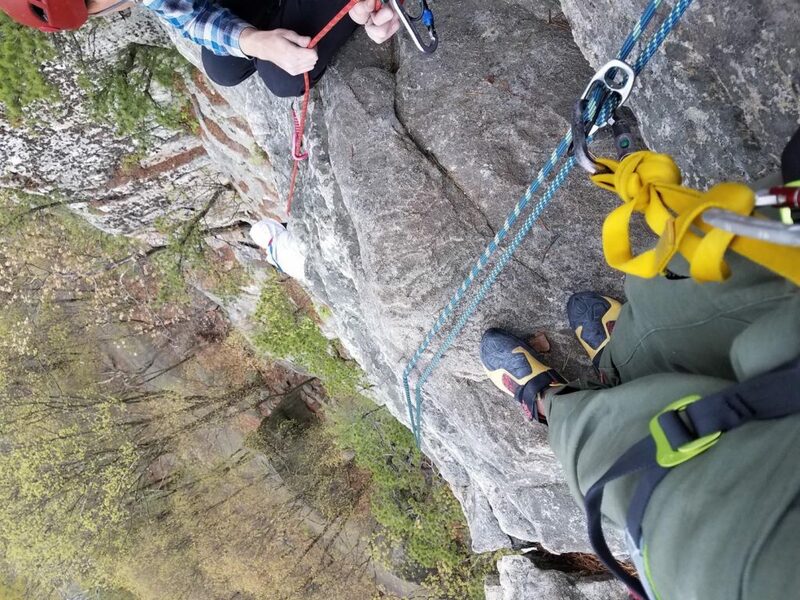 In my 8 years of rock climbing I’ve spent most of the time wrecking my fingers underneath the boulders of New England but, somewhere along the line I picked up a liking for sport climbing. Maybe it’s my inner geek but, there is just something cool about getting to use a bunch of gear that you don’t get with bouldering. One aspect that held me back from sport climbing is my fear of falling and dangling from a rope 100 feet off the ground. Luckily, this summer I got to test my fear and took some falls on the Edelweiss Energy 9.5 mm rope in New England and in the many canyons of Colorado. The first experience you share with any new rope is opening it up. This is something that I have learned to dread. On numerous occasions I’ve helped friends open their new ropes at the crag only to create the biggest mess. Simply the worst tangling the world has every seen. Let’s just say knots were formed that cannot be named. The process of untangling the rope can easily go on for 20 to 30 minutes leaving you with a serious flash pump. The Edelweiss Energy 9.5mm is totally different. Uncoiling the rope was done within 5 minutes with a minimum amount of knots created in the process. It really felt like magic. In addition, I just have to say, the rope looks gorgeous when lays there on the ground untangled. Everyone at the crag stopped by to comment on how nice the rope’s appearance and I nodded my head in agreement. The rope features a cool bi-pattern making it easy to spot when you have reached the middle of the rope. This came in handy when I had to rappel off of my first multi-pitch climb in the Gunks. Multi-pitch was enough of a challenge and having one less thing to worry about, finding the middle of the rope, makes things more enjoyable. The bi-pattern also eases the process of setting up top-ropes. Another noticeable feature of this rope is its weight. At 58 grams per meter it is very light and a delight to travel with. When you live at sea-level your entire life then, hike to the crag at an elevation of at least 7000 feet every gram counts. Transporting less rope weight allowed me to pack other heavier and important things like water. We sea-level people need more water at higher elevations to avoid getting sick. With a diameter of 9.5mm, the rope is thin and packs down neatly into a rope bag. It can then fit underneath an airplane seat in economy class with leg room to spare. Finally, once you arrive at the crag it’s time to climb. The Edelweiss Energy 9.5 mm feels just right when used with a Petzl GriGri2. It slides easily when giving slack but, brakes just as easily when necessary. The same can be said when using a Petzl Verso to belay or rappel. Moreover, as many climbers do, I fell many times while getting pumped on new sport routes. I was worried that such a thin rope wouldn’t hold me considering I like to stuff my face and eat ice cream. I was wrong. I am 155 – 160lbs on a given day and I felt secure on each lead fall. Also, the rope did not stretch too much. Overall, I think the Edelweiss Energy 9.5 mm is a great rope and definitely worth the purchase. However, there are some considerations to be made. First, the rope is not dry treated and has no water repellent so take extra precaution when using this rope in wet conditions. Second, after a couple days of use I did not notice any tears however, many areas along the rope sheath have begun to frazzle. 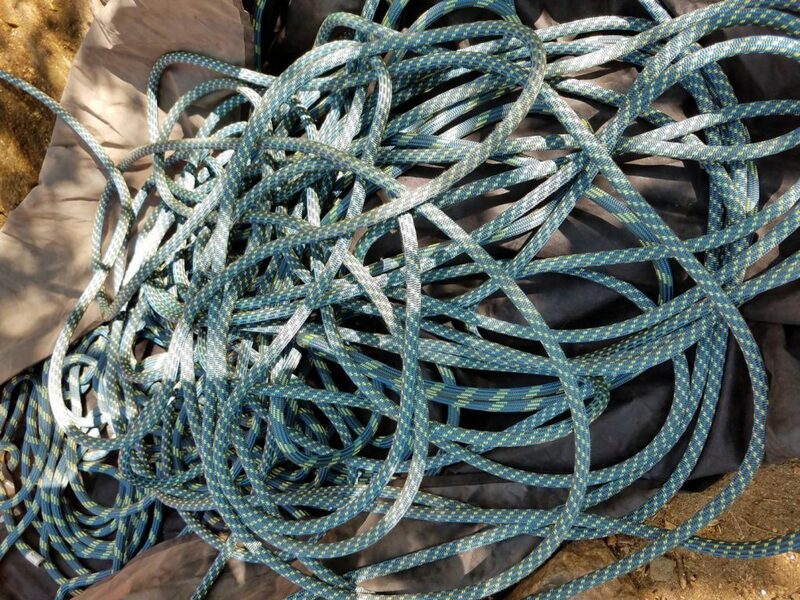 Always check your rope before, during, and after use for any tears or signs of being worn out. Finally, I would recommend that the belayer who uses this rope have some prior belaying experience. New belayers may not feel comfortable with how easily the rope moves through the belay device. This is especially true if the belayer primarily climbs indoors where ropes tend to be thicker. Shop the Edelweiss Energy Climbing Rope on Outdoor Prolink. Not a member? Apply today! Mikhail Martin is co-founder of Brothers of Climbing. When Mikhail and crew realized how few people of color there were in the climbing community, they decided to do something about it. Enter Brothers of Climbing (BOC), an organization dedicated to bringing diversity to the rock climbing community. Now Mikhail and his growing crew are helping make climbing a sport for everyone. In October 2017, he is co-organizing The Color the Crag Climbing Festival, the mission of which is to increase the presence of people of color outside, encourage community and leadership, and provide positive representation of climbing and physical activity among populations of color.